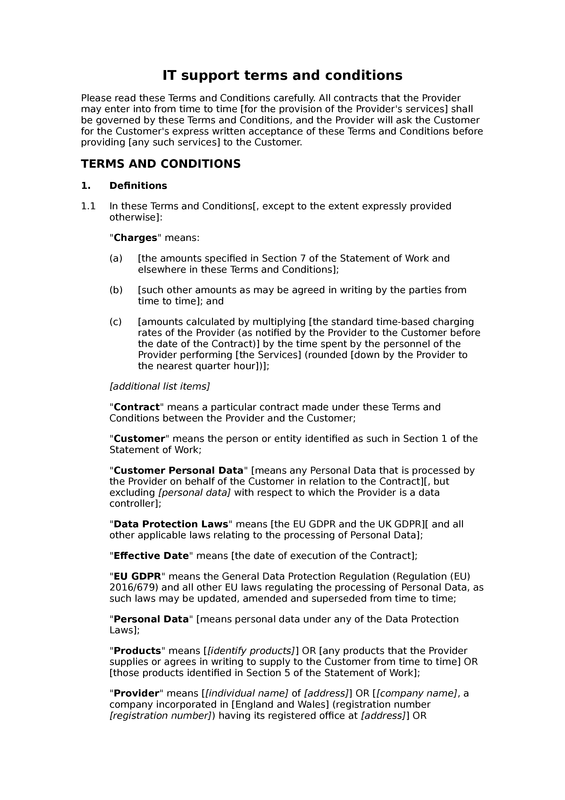 Under these terms and conditions, a business may contract to provide IT support services to customers. Those support services may include both hardware support and software support. 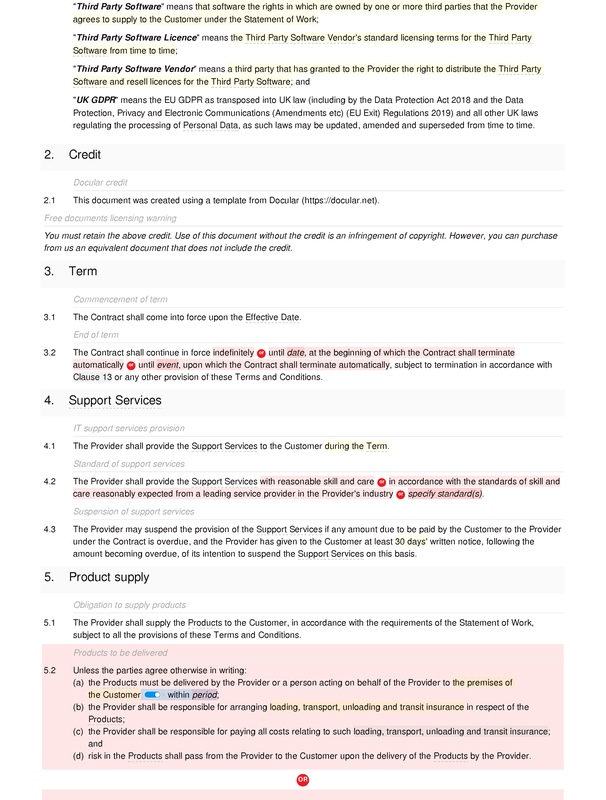 In addition to the core support provisions, a clause is included which covers the supply of third party hardware and/or software to the customer. 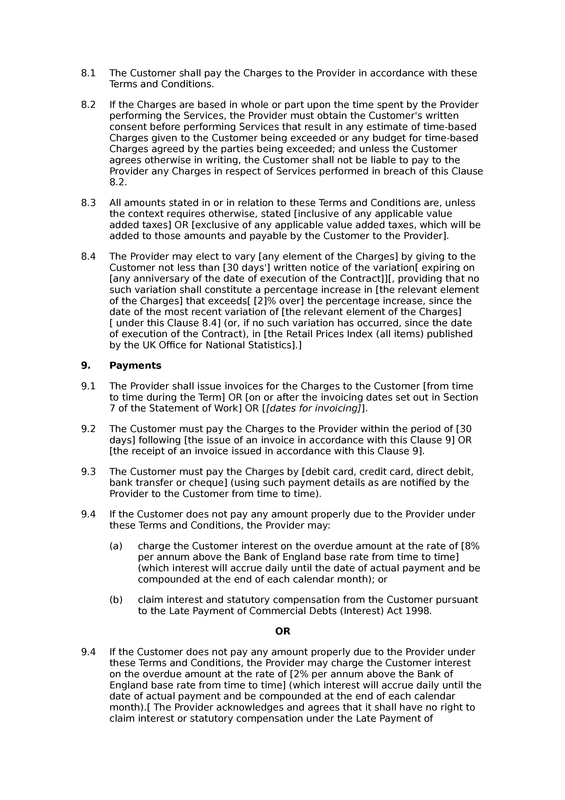 This is a B2B document, and should not be used in respect of customers that are consumers. This free document is almost identical to our basic IT support terms and conditions. 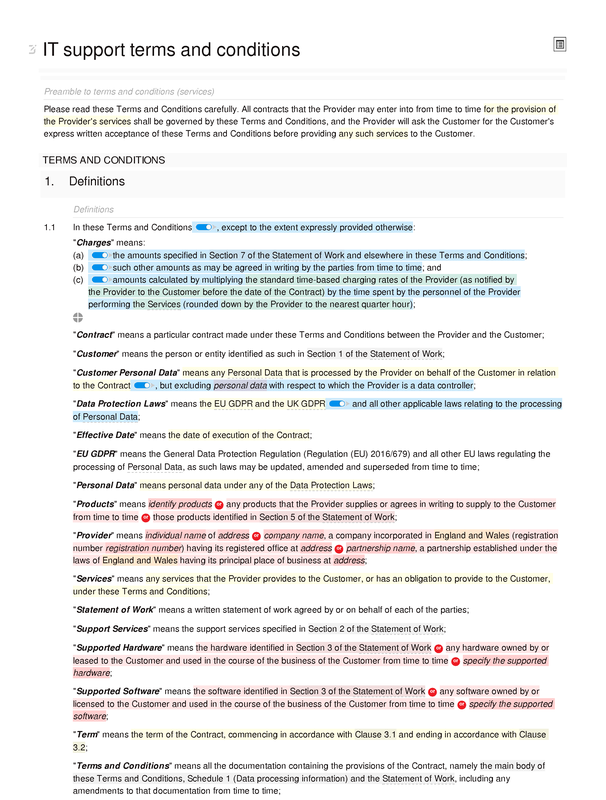 It includes, in addition to the provisions of the basic document, a textual credit or attribution clause which you should retain in your copies of the document. 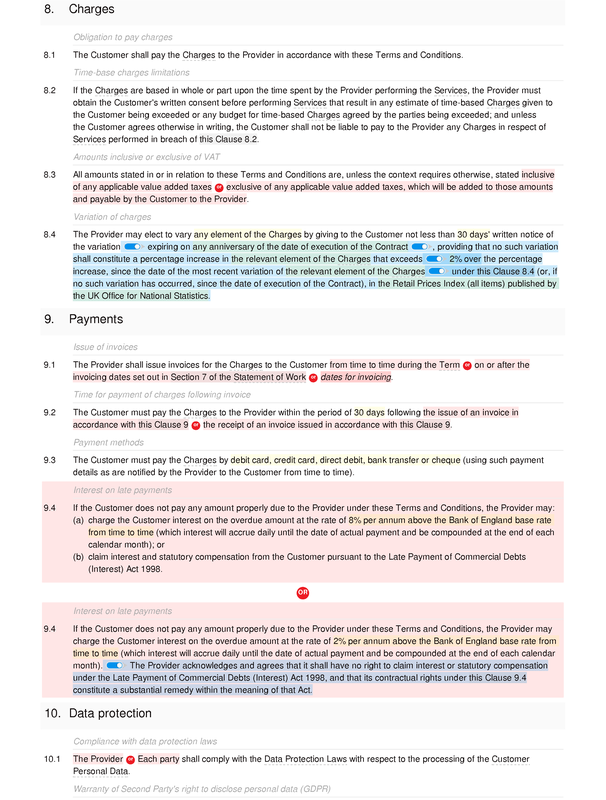 If you would like this document without the credit text, then you should purchase the basic document. Support Services: IT support services provision; standard of support services; suspension of support services. 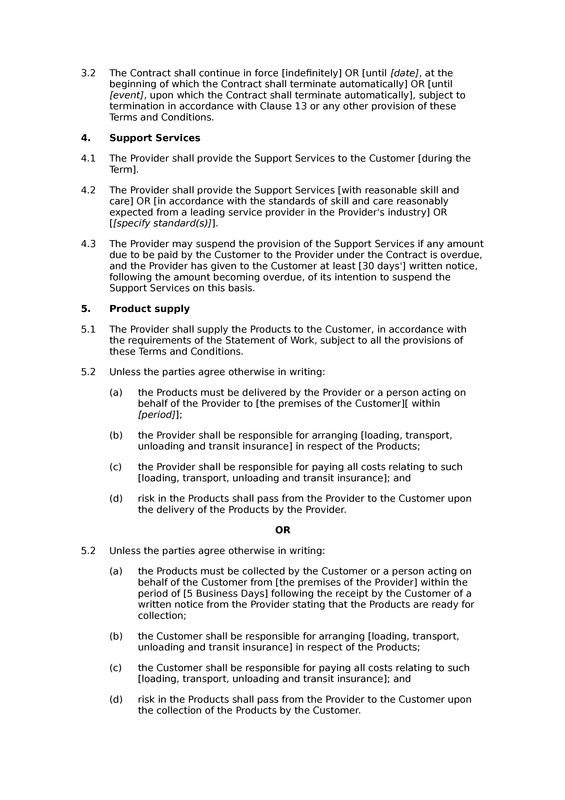 Product supply: obligation to supply products; products to be delivered; products to be collected; passage of title to products. Third Party Software supply: obligation to supply third party software; third party software to be supplied in executable format; supply of third party software licence; third part software licensing responsibility; third party software rights and obligations in licence; compliance with third party software licence terms; third party software licence privity. 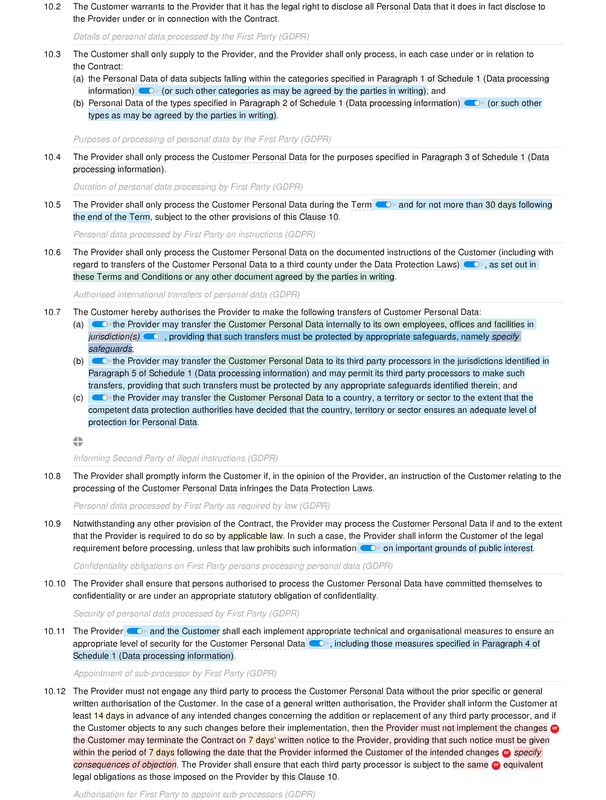 to allow audit (GDPR); changes to data protection law. Categories of data subject: prompt for categories of data subject. Types of Personal Data: prompt for types of personal data. 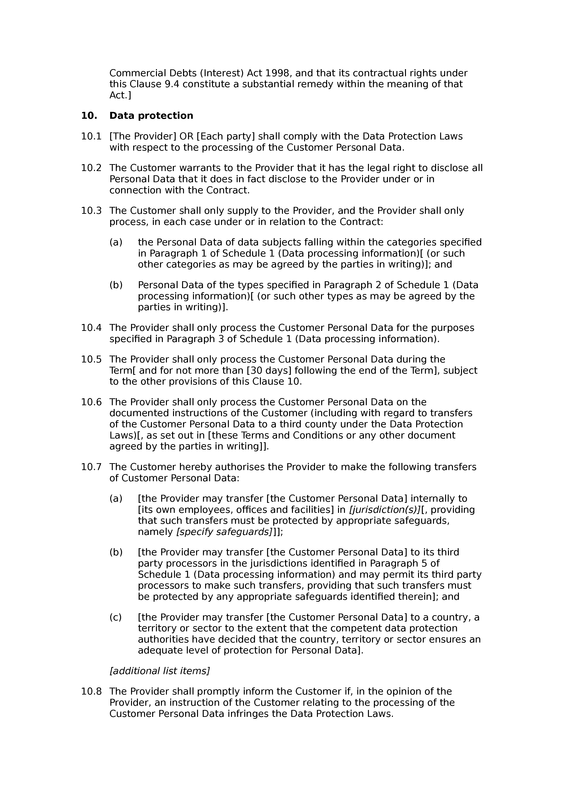 Purposes of processing: prompt for personal data processing purposes. Security measures for Personal Data: prompt for security measures for personal data. Sub-processors of Personal Data: prompt for identifying sub-processors of personal data.